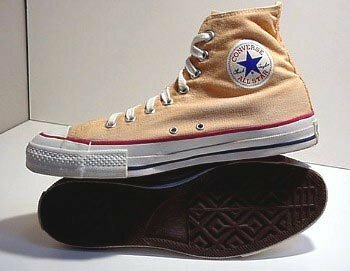 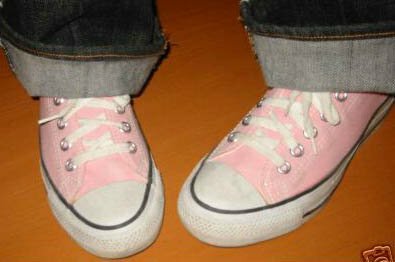 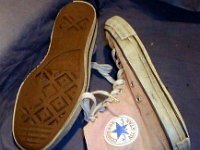 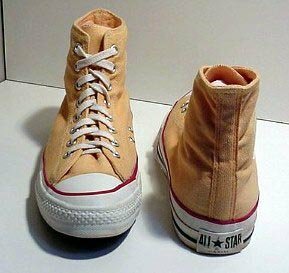 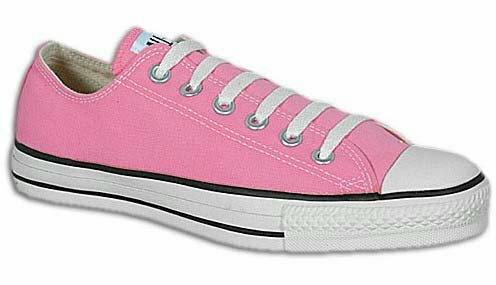 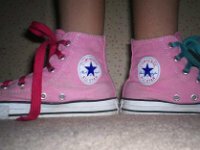 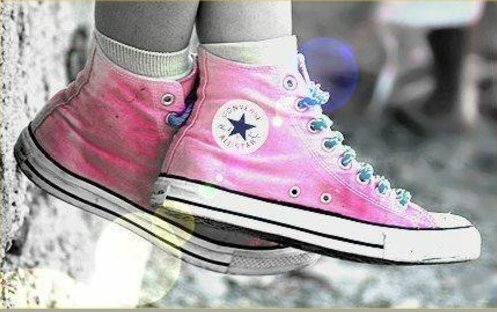 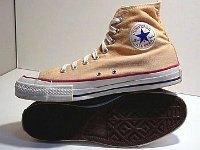 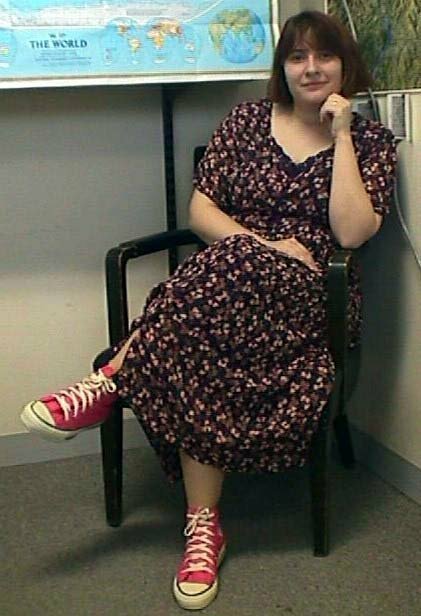 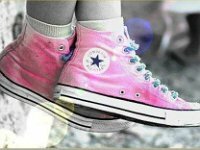 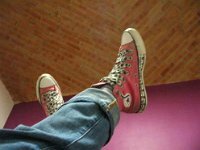 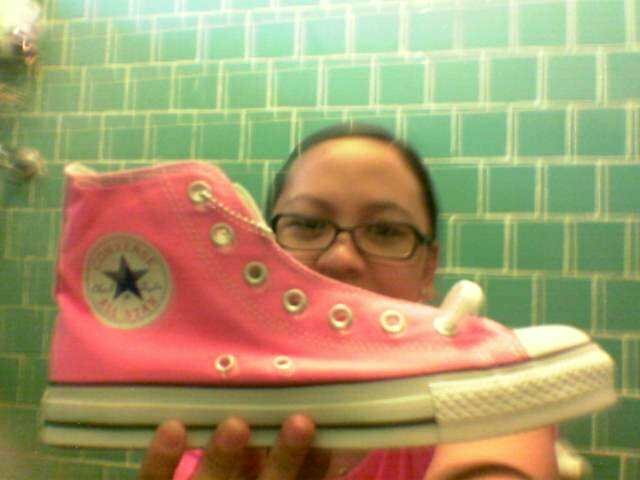 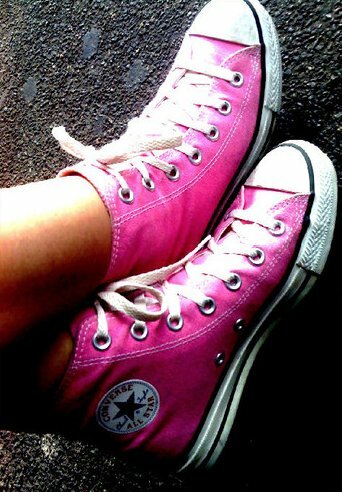 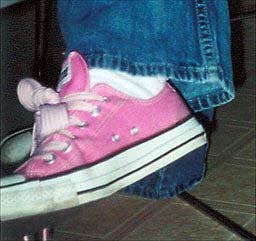 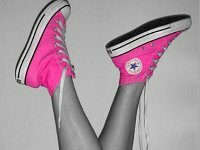 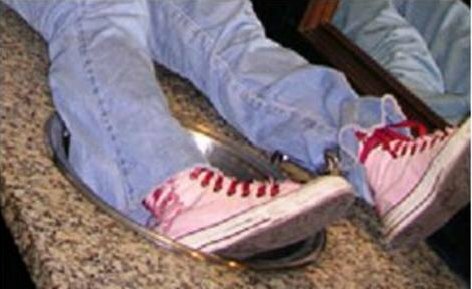 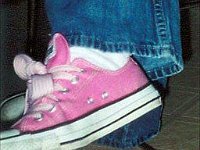 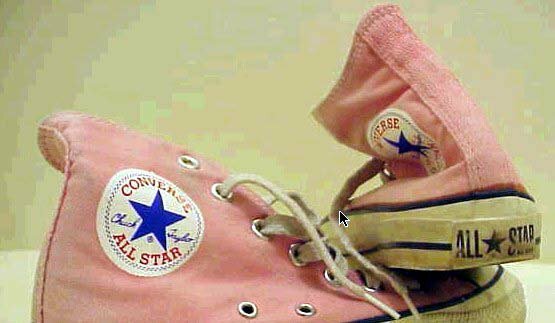 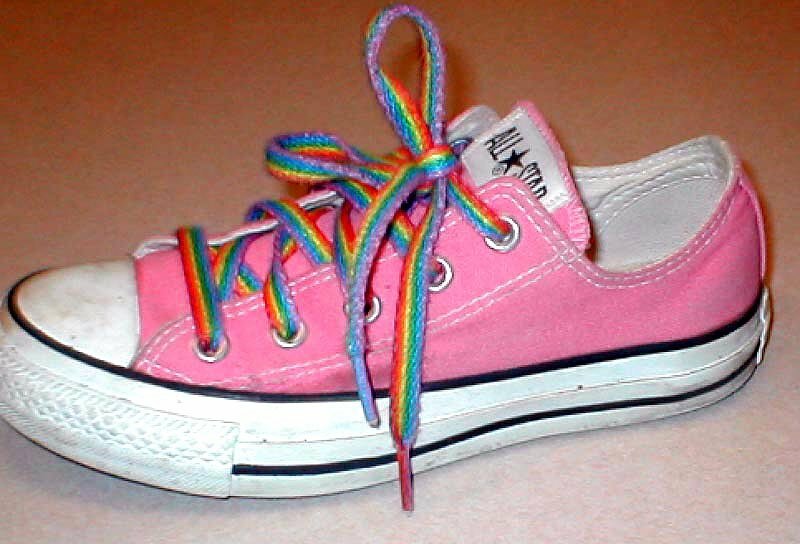 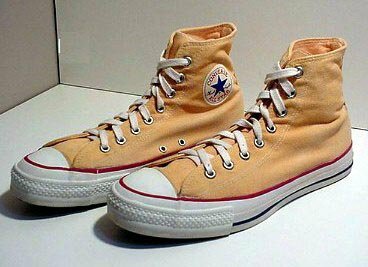 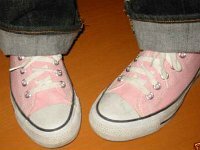 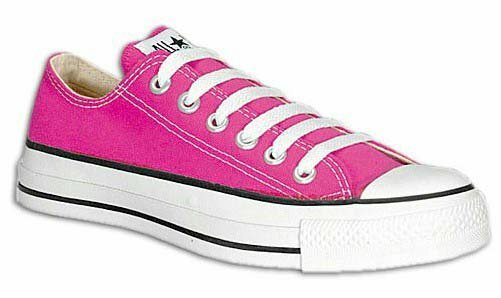 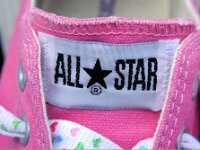 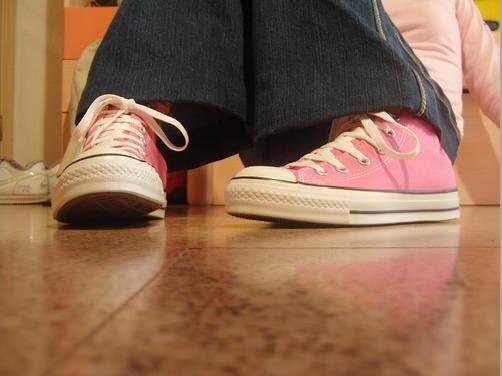 Photo gallery of various pink high top and low cut models of chucks. 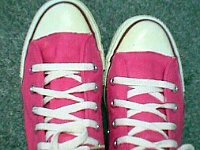 1 Pink High Top and Low Cut Chucks Top view of a pair of pink high top chucks with black toe caps and guards. 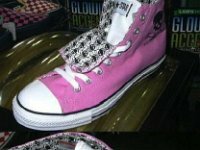 2 Pink High Top and Low Cut Chucks Inside patch view of a right pink high top chuck with a black toe cap and guard. 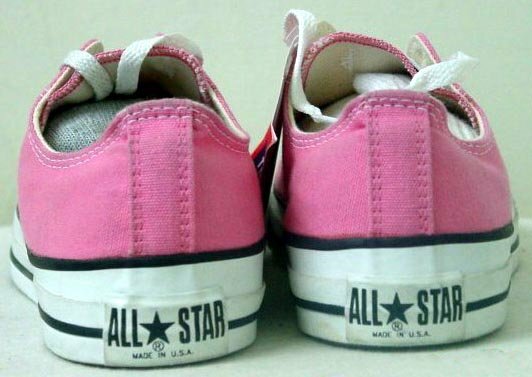 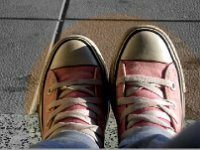 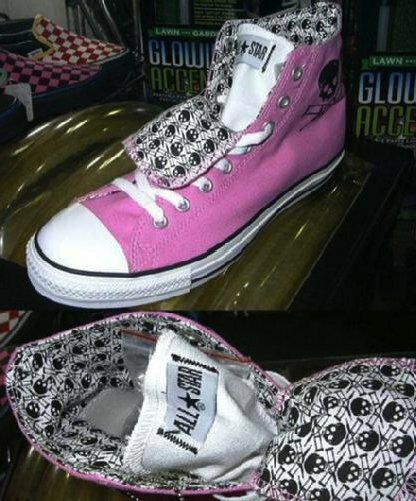 3 Pink High Top and Low Cut Chucks Light pink high tops, right outside and left inside patch views. 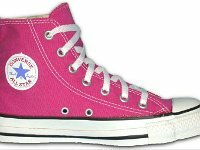 4 Pink High Top and Low Cut Chucks Light pink high tops, front and inside patch views. 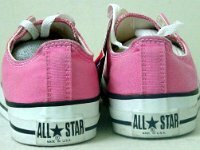 5 Pink High Top and Low Cut Chucks Light pink high tops, left outside and right inside patch views. 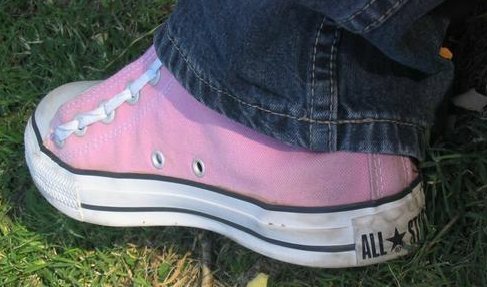 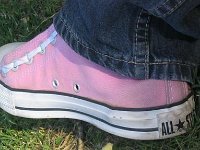 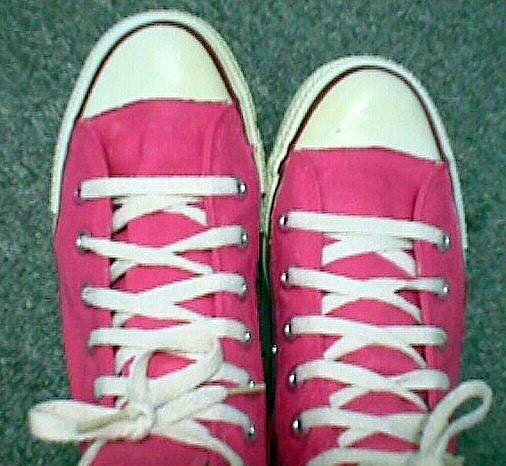 6 Pink High Top and Low Cut Chucks Light pink high tops, closeup of rear heel patches. 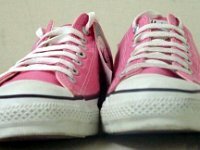 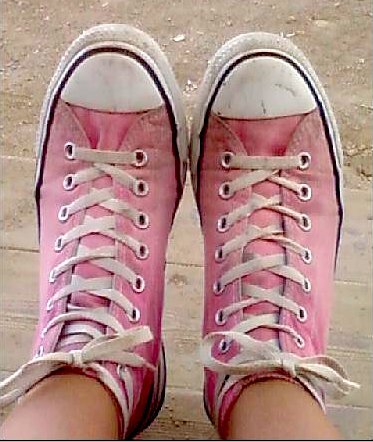 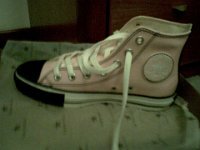 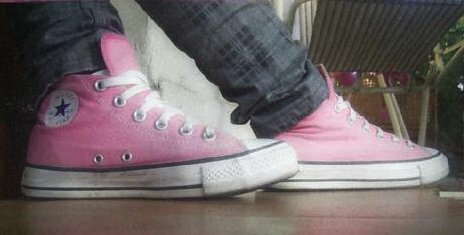 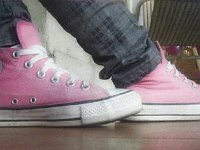 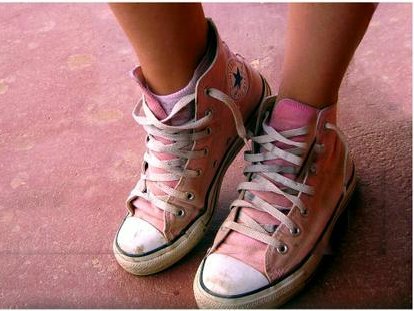 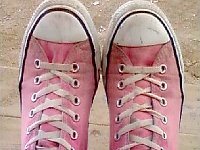 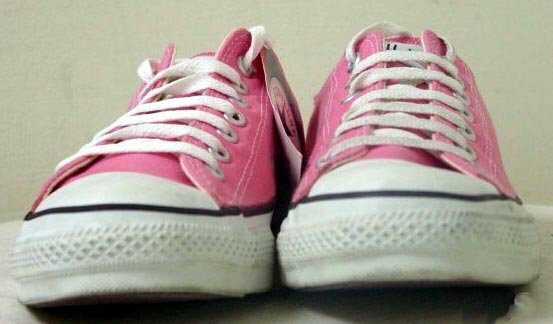 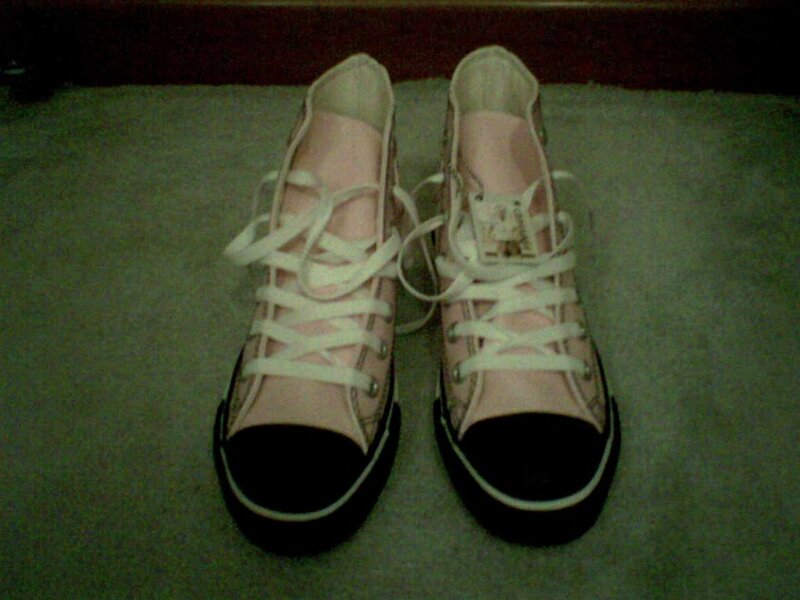 7 Pink High Top and Low Cut Chucks Worn light pink high tops, inside patch views. 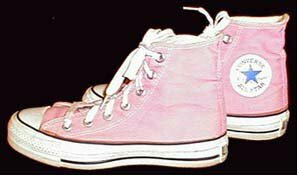 8 Pink High Top and Low Cut Chucks Worn light pink high tops, sole and inside patch views. 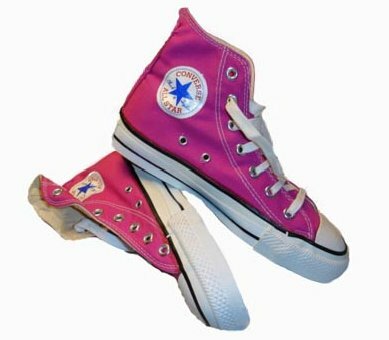 9 Pink High Top and Low Cut Chucks Light pink high tops, with pink piping, angled outside view. 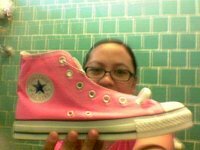 10 Pink High Top and Low Cut Chucks Neon pink high tops, inside patch views. 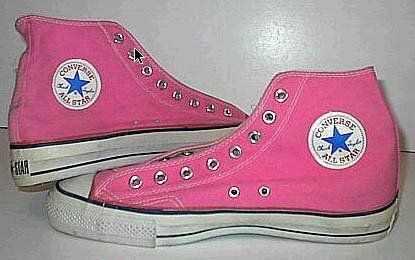 11 Pink High Top and Low Cut Chucks Neon pink high tops, angled inside patch views. 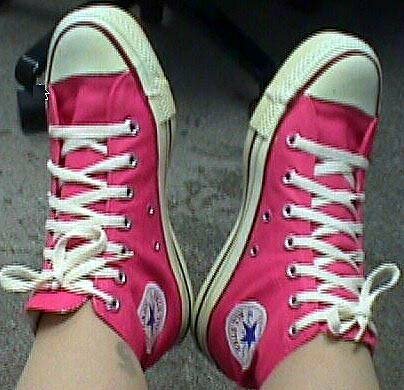 12 Pink High Top and Low Cut Chucks Worn neon pink high tops, angled outside view. 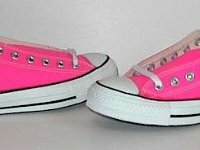 13 Pink High Top and Low Cut Chucks New neon pink low cuts, side view. 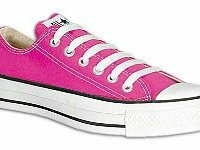 14 Pink High Top and Low Cut Chucks Neon pink low cuts, angled top view. 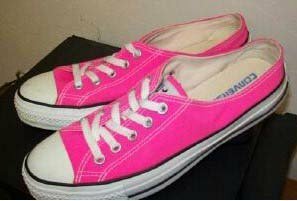 15 Pink High Top and Low Cut Chucks Neon pink low cut, angled side view. 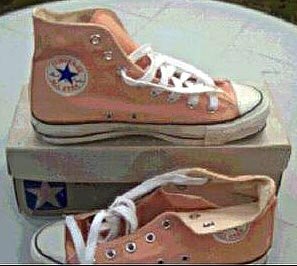 16 Pink High Top and Low Cut Chucks Peach high tops, side views. 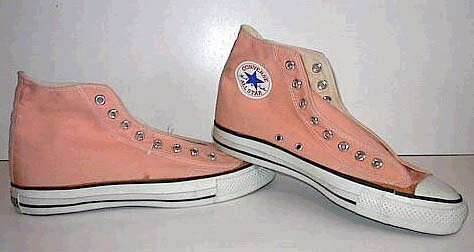 17 Pink High Top and Low Cut Chucks Peach high tops, rear and inside patch views. 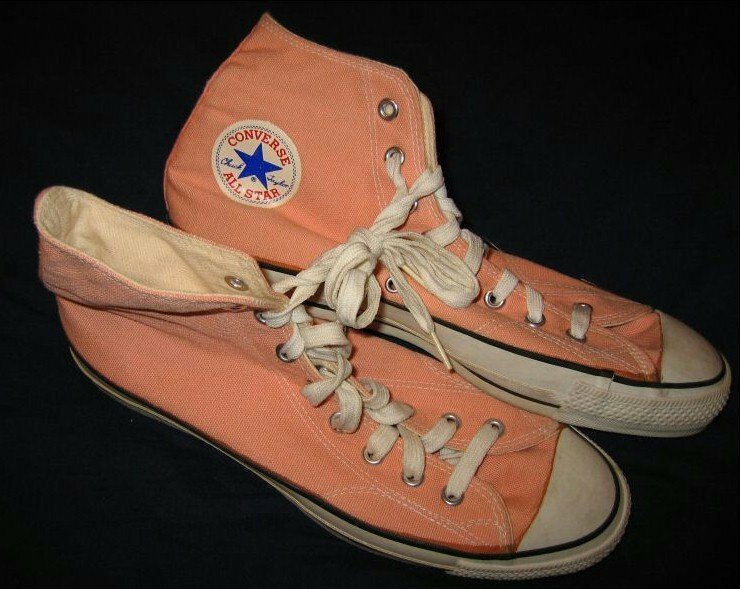 18 Pink High Top and Low Cut Chucks Worn peach high tops, inside patch and rear views. 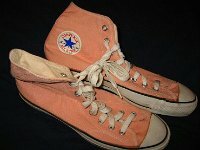 19 Pink High Top and Low Cut Chucks Worn peach high tops, closeup of patches. 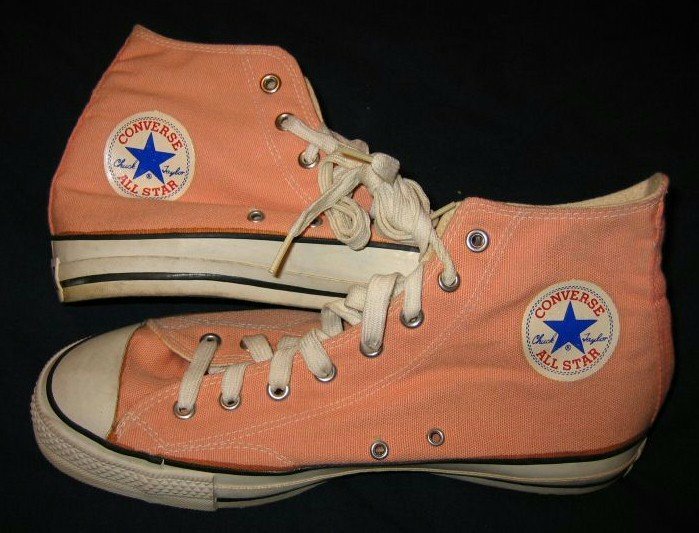 20 Pink High Top and Low Cut Chucks Peach high tops, inside patch and rear views. 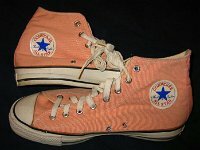 21 Pink High Top and Low Cut Chucks Worn peach high tops, left inside patch view. 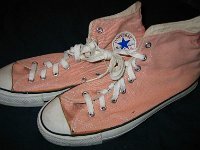 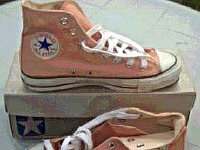 22 Pink High Top and Low Cut Chucks Worn peach high tops, inside patch views. 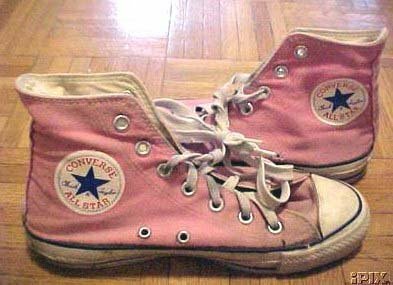 23 Pink High Top and Low Cut Chucks Inside patch views of peach pink high top chucks. 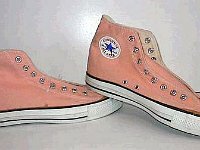 24 Pink High Top and Low Cut Chucks Left side view of peach pink high top chucks. 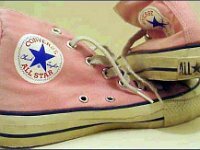 25 Pink High Top and Low Cut Chucks Right side view of peach pink high top chucks. 26 Pink High Top and Low Cut Chucks Left pink high top, inside patch view. 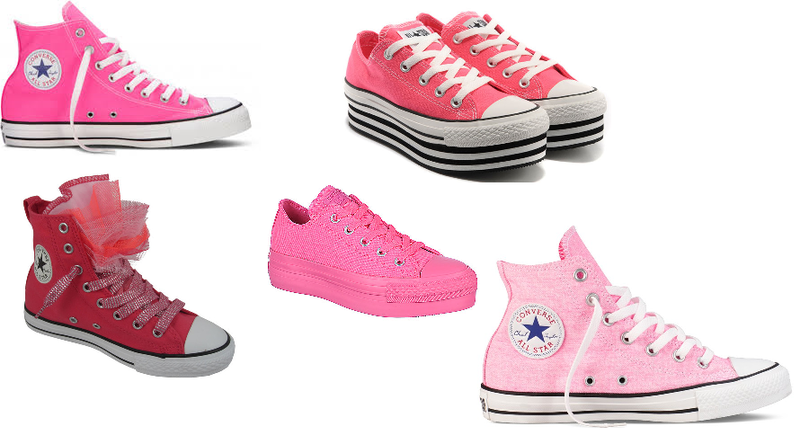 27 Pink High Top and Low Cut Chucks Pink high tops, top and inside patch view. 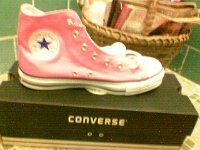 28 Pink High Top and Low Cut Chucks New left pink high top chuck on top of its box. 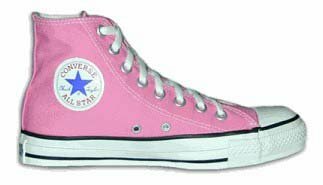 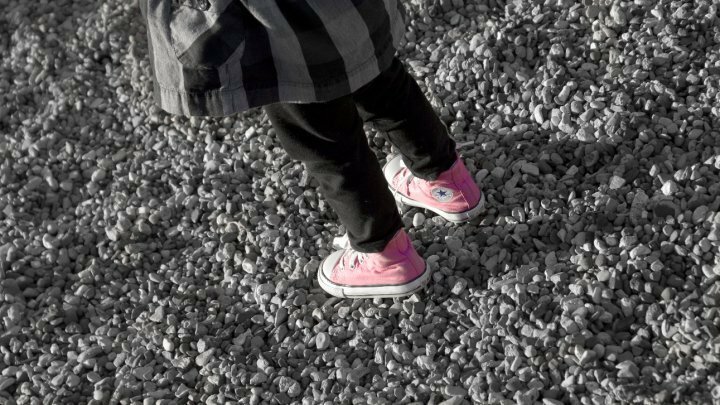 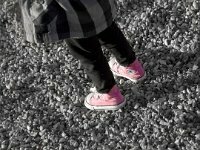 29 Pink High Top and Low Cut Chucks Girl with left pink high top chuck. 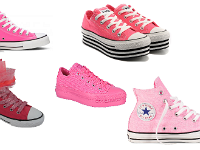 30 Pink High Top and Low Cut Chucks Neon pink, platform, pink, pink monochrome, and party pink chucks. 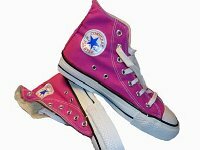 31 Pink High Top and Low Cut Chucks Side view of pink extra high chucks. 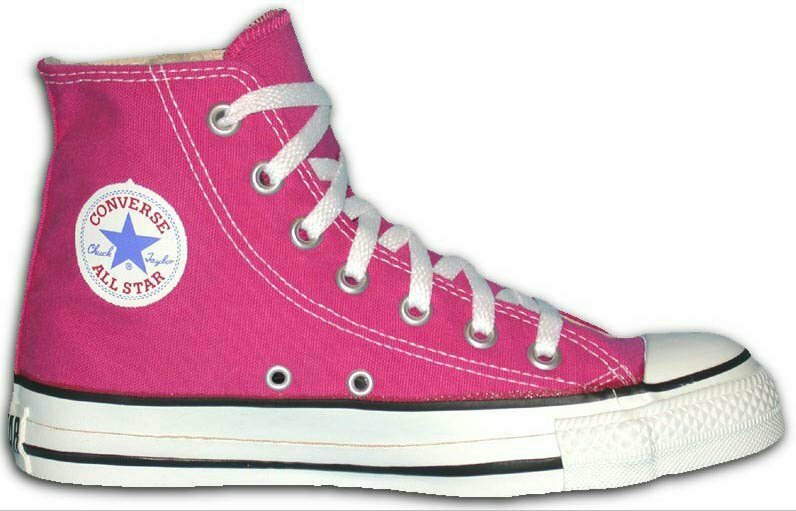 32 Pink High Top and Low Cut Chucks Pink Jackass double tongue high tops. 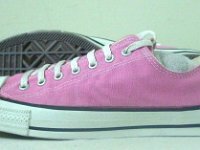 33 Pink High Top and Low Cut Chucks Pink low cut, side view. 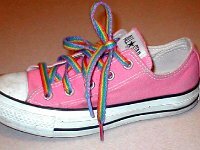 34 Pink High Top and Low Cut Chucks Pink low cut with rainbow laces. 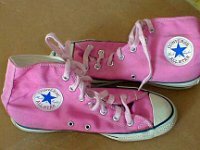 35 Pink High Top and Low Cut Chucks Side view of pink lwo cut chucks. 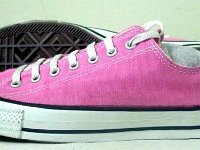 36 Pink High Top and Low Cut Chucks Pink low cuts, front view. 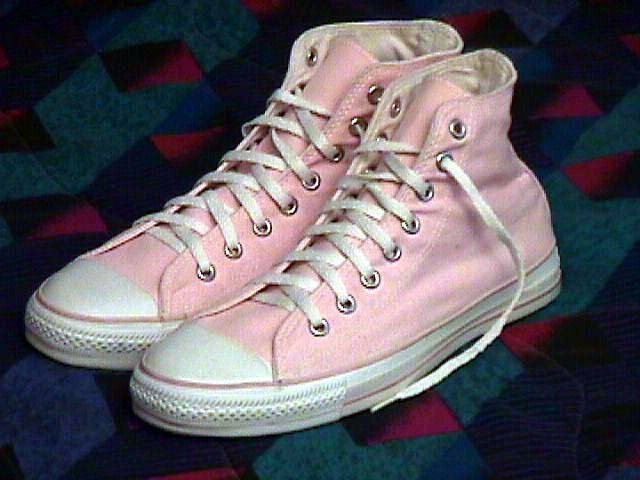 37 Pink High Top and Low Cut Chucks Pink low cuts, rear view. 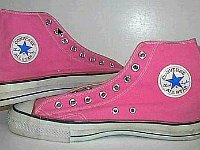 38 Pink High Top and Low Cut Chucks Pink low cuts, side and sole views. 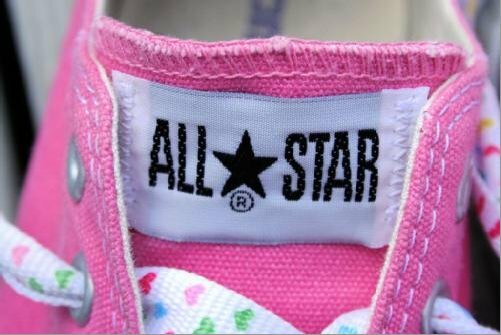 39 Pink High Top and Low Cut Chucks Close up of the license plate logo patch on pink low cut chucks. 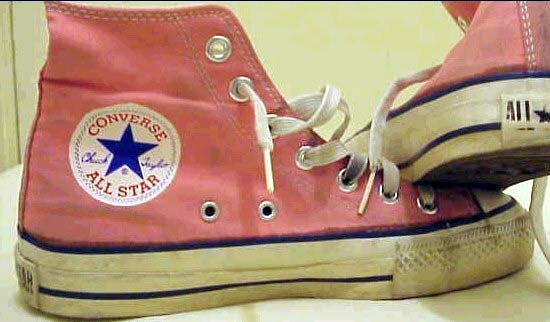 40 Pink High Top and Low Cut Chucks Raspberry red left high top, inside patch view. 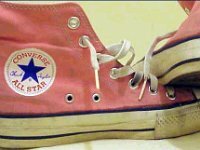 41 Pink High Top and Low Cut Chucks Raspberry red left high top, inside patch view. 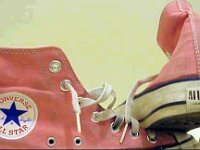 42 Pink High Top and Low Cut Chucks Wearing raspberry red high tops. 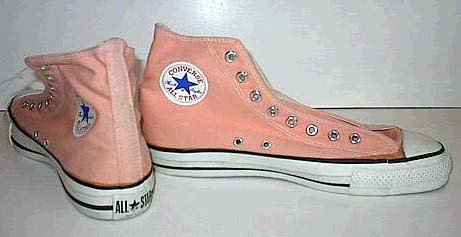 43 Pink High Top and Low Cut Chucks Salmon pink high tops, angled side views. 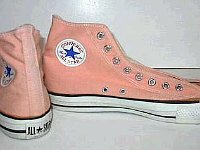 44 Pink High Top and Low Cut Chucks Salmon pink high tops, front and rear views. 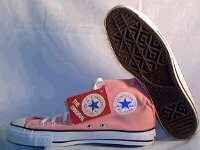 45 Pink High Top and Low Cut Chucks Salmon pink high tops, inside patch and sole views. 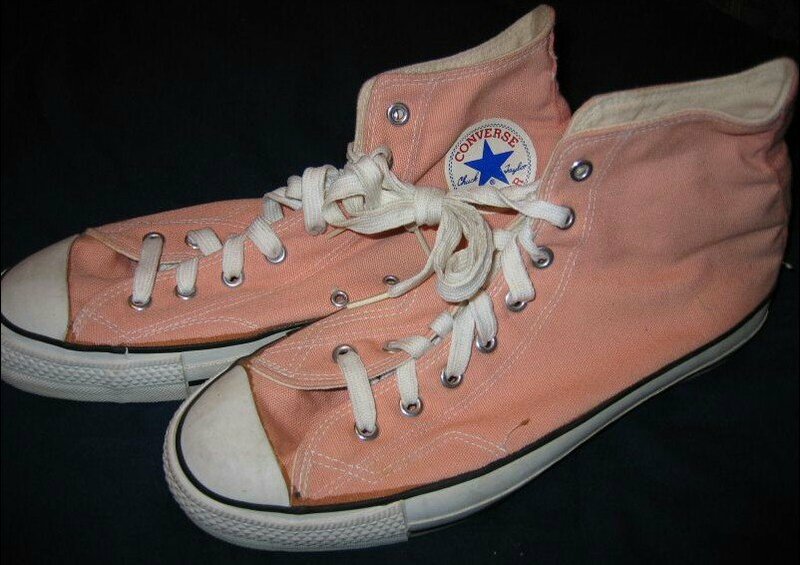 46 Pink High Top and Low Cut Chucks Salmon pink high tops, inside patch and sole views. 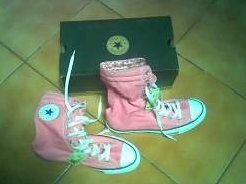 47 Pink High Top and Low Cut Chucks Salmon pink high tops, new with box. 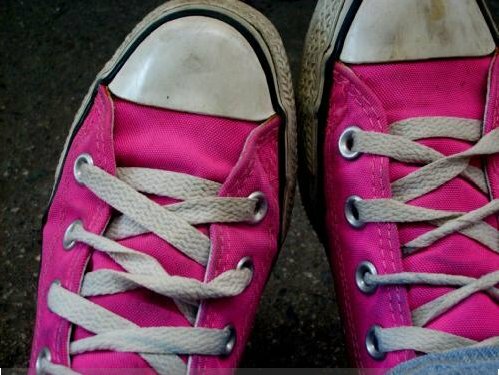 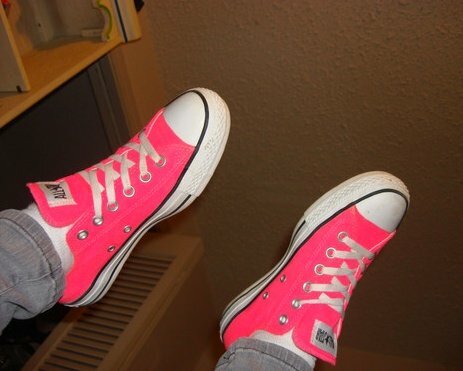 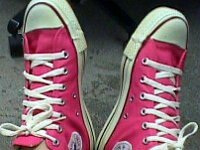 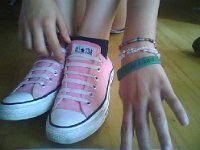 48 Pink High Top and Low Cut Chucks Wearing neon pink chucks, top view. 49 Pink High Top and Low Cut Chucks Wearing neon pink high top chucks, left side view. 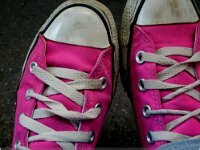 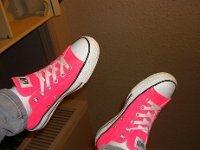 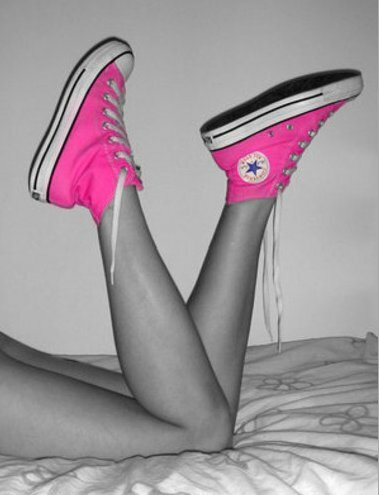 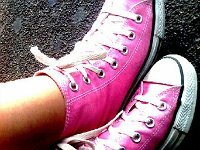 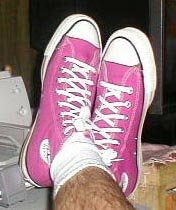 50 Pink High Top and Low Cut Chucks Wearing neon pink high tops, crossed legs view. 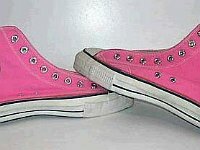 51 Pink High Top and Low Cut Chucks Neon pink high tops, top view. 52 Pink High Top and Low Cut Chucks Wearing neon pink high tops. 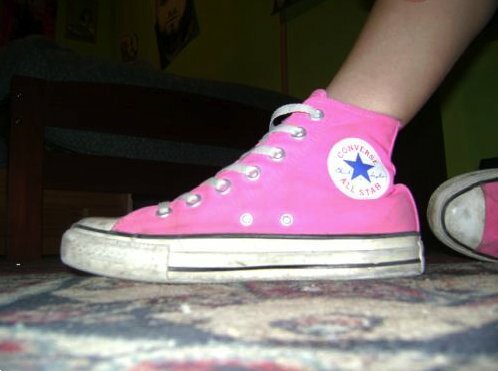 53 Pink High Top and Low Cut Chucks Wearing neon pink high tops. 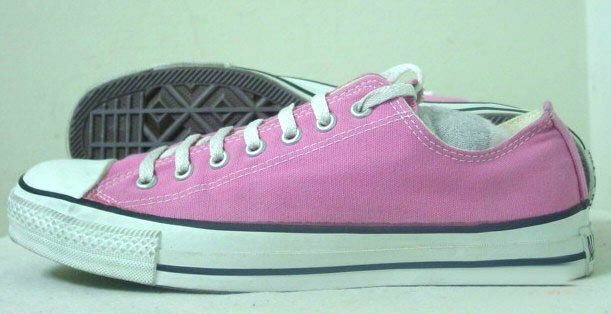 54 Pink High Top and Low Cut Chucks Showing off a pink high top with scramble lacing. 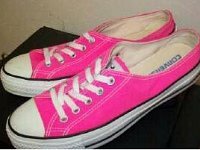 55 Pink High Top and Low Cut Chucks Wearing neon pink low cuts. 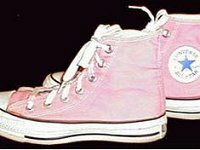 56 Pink High Top and Low Cut Chucks Wearing pink high top chucks, outside view. 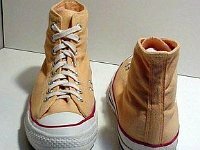 Note the unusual lacing. 57 Pink High Top and Low Cut Chucks Wearing pink high top chucks. 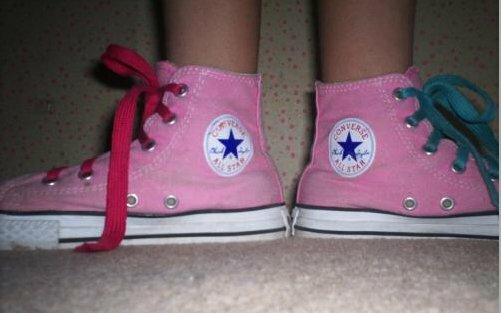 58 Pink High Top and Low Cut Chucks Wearing pink high top chucks with print laces. 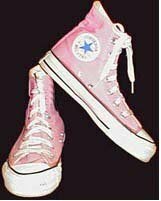 59 Pink High Top and Low Cut Chucks Wearing pink high top chucks front ivew. 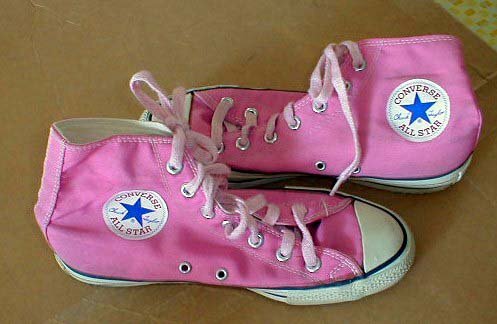 60 Pink High Top and Low Cut Chucks Seated on the floor wearing pink high top chucks. 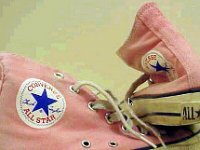 61 Pink High Top and Low Cut Chucks Wearing pink high top chucks, side view. 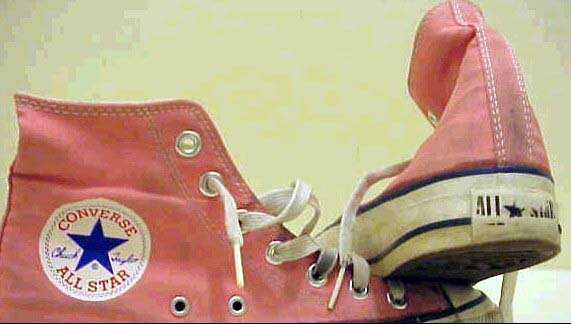 62 Pink High Top and Low Cut Chucks Wearing pink high top chucks with red and green fat laces, inside patch views. 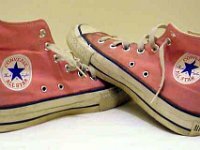 63 Pink High Top and Low Cut Chucks Wearing pink high top chucks, rear view. 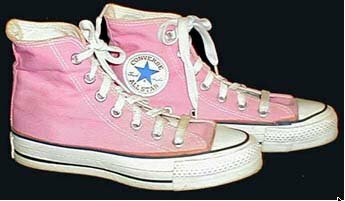 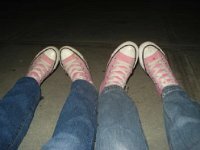 64 Pink High Top and Low Cut Chucks Side by side wearing pink high top chucks. 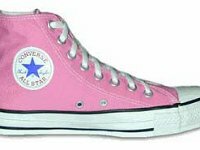 65 Pink High Top and Low Cut Chucks Seated wearing pink high top chucks. 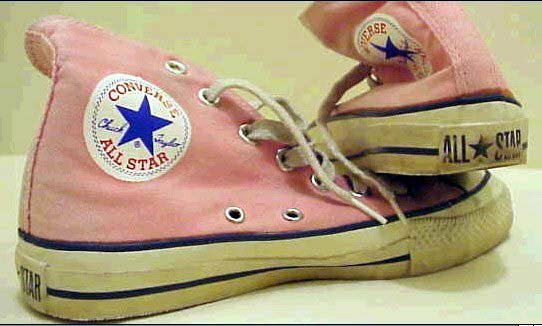 66 Pink High Top and Low Cut Chucks Seated on the floor wearing pink high top chucks. 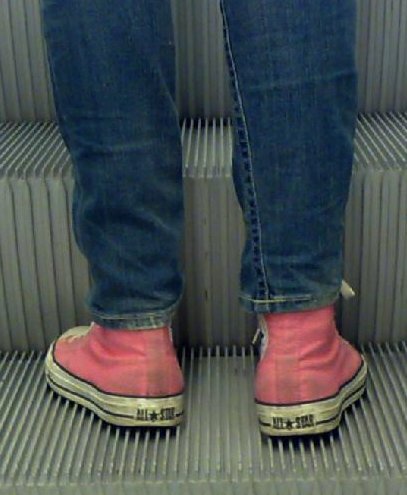 67 Pink High Top and Low Cut Chucks Wearing pink high top chucks dangling over the edge of a wall. 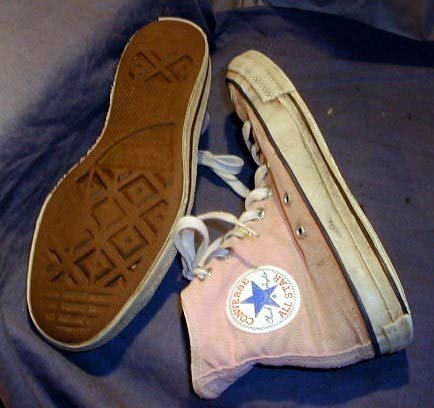 69 Pink High Top and Low Cut Chucks Wearing light pink high top chucks. 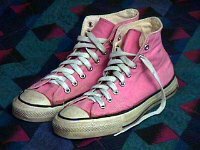 71 Pink High Top and Low Cut Chucks Wearing pink high top chucks, angled top view. 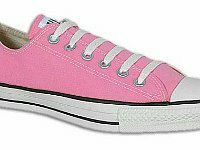 72 Pink High Top and Low Cut Chucks Wearoing pink low cut chucks with straight laces. 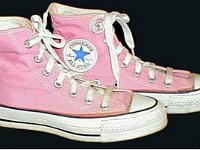 73 Pink High Top and Low Cut Chucks Wearing pink high top chucks top view. 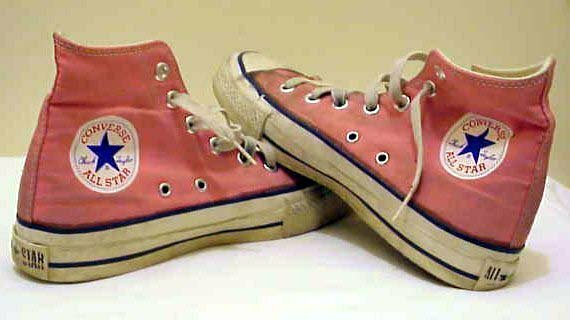 74 Pink High Top and Low Cut Chucks Wearing pink low cuts.